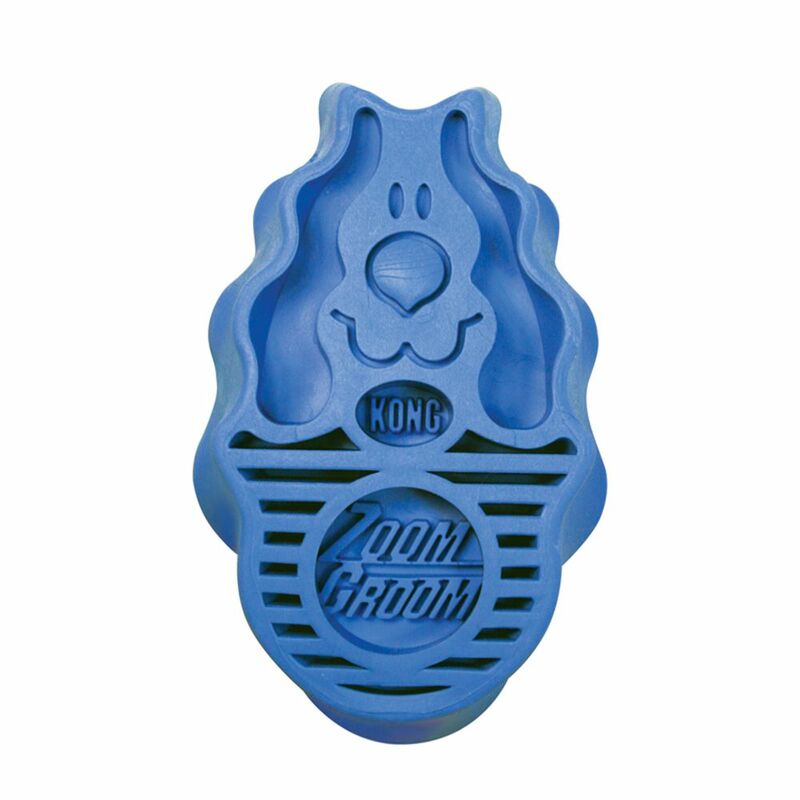 The KONG ZoomGroom™ helps make it easier to get your dogs clean. 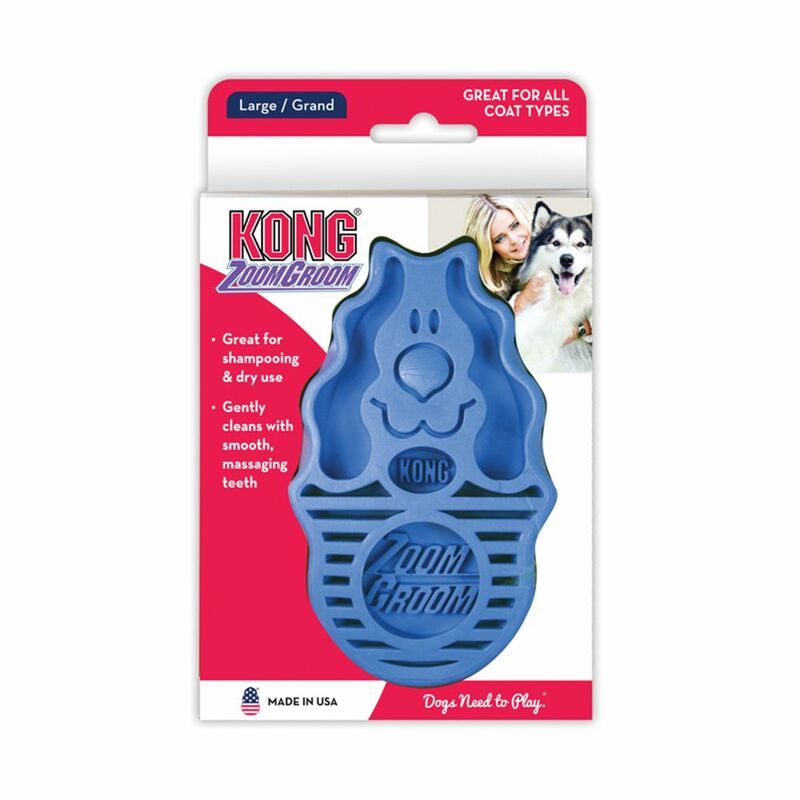 While shampooing use the ZoomGroom™ to clean your dogs’ coat. 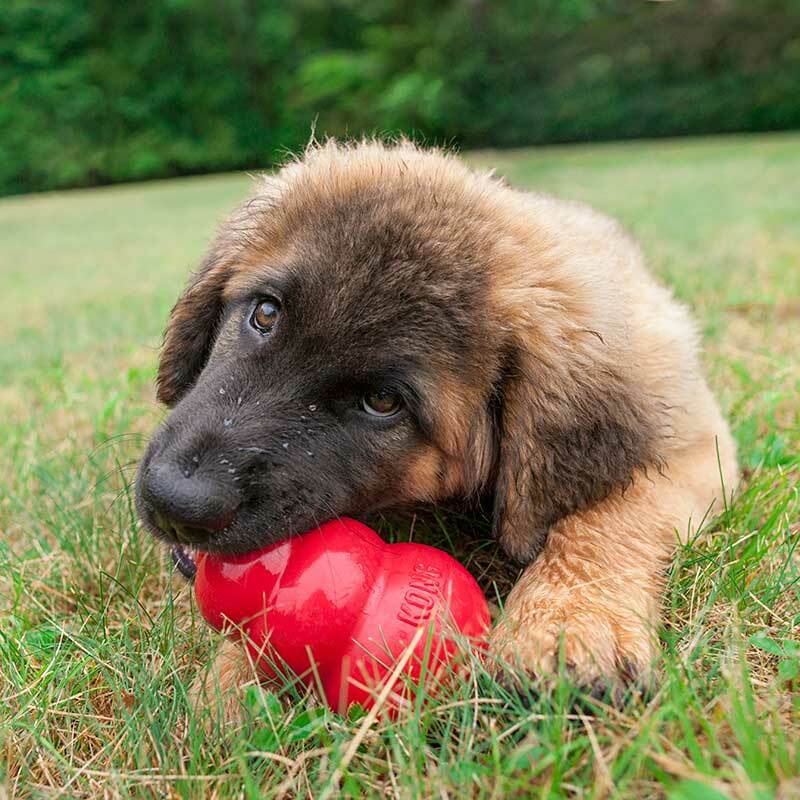 The 3/4 inch rubber fingers reach through the coat to massage the skin, stimulating capillaries and natural oil production leading to a healthy coat for your dog.